Join the Hive Global Community of 1500+ purpose-driven leaders from 115 countries who are working on creating a better world. 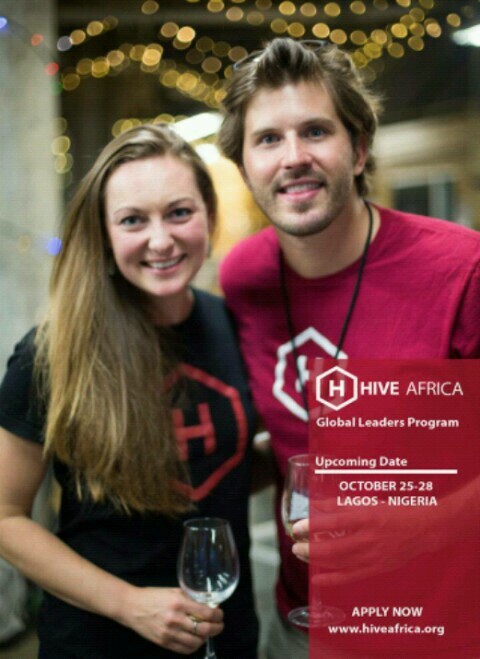 Apply now for an invitation to the Hive Global Leaders Program in Lagos-Nigeria October 25-28, 2017. Hive has a global alumni community of nearly 1500 extraordinary mission-driven CEOs, leaders, and entrepreneurs from 115 countries around the world. The next Hive Africa Global Leaders Program is hosted at the Four Points By Sheraton Lagos-Nigeria. Hive is the global community for purpose-driven leaders. Hive is a global community of leaders, innovators, inventors and entrepreneurs who are working on creating a better world and are focussed on building a platform that is convening and connecting the leaders who will re-imagine the 21st century and work together to create a happy, healthy, and sustainable world which is based around authentic community, global inclusion, and meaningful purpose while providing an alternative to the isolating realities of the present day. A community where everyone will be able to live, work, and learn around world’s leading innovators, creative entrepreneurs, and change makers who are actively working on building organizations and companies that are addressing humanity’s greatest challenges. The Hive Africa Global Leaders Program (GLP) is a 3-day immersive rapid prototype workshop on leadership, entrepreneurship, and innovation for purpose-driven leaders. We bring together CEOs, executives ,directors, managers, founders, president of organisations, entrepreneurs, global leaders, innovators, philanthropists, purpose driven students, policy makers for a three-day educational workshop called the Hive Africa Global Leaders Program. Alumni of the program become Hive Global Leaders and enter into a lifelong community of purpose-driven innovators working together on creating a better world while supporting each other in their careers. Nearly 1500 alumni from 115 countries have come through the Hive Global Leaders Program so far. The next Hive Africa Global Leaders Program is October 25 -28 in Lagos –Nigeria. Apply for an invitation now! Discover your purpose, Find your Tribe.